18.09.2012 - 11.12.2012 Classes for beginners in Bratislava – Rača starting in September 2012! 06.10.2012 Performance at the Secret orient 2012 festival in the Czech Republic! 28.06.2012 Summer EtnoDance party in Hlava 22! 10.02.2012 Oriental Night’s Dream 2012 – Get oriented with us! 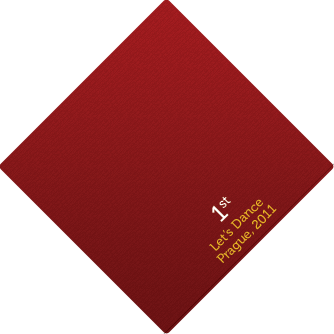 28.07.2011 - 31.07.2011 Let’s Dance festival Prague 2011 1st place solo raqs sharki professional!